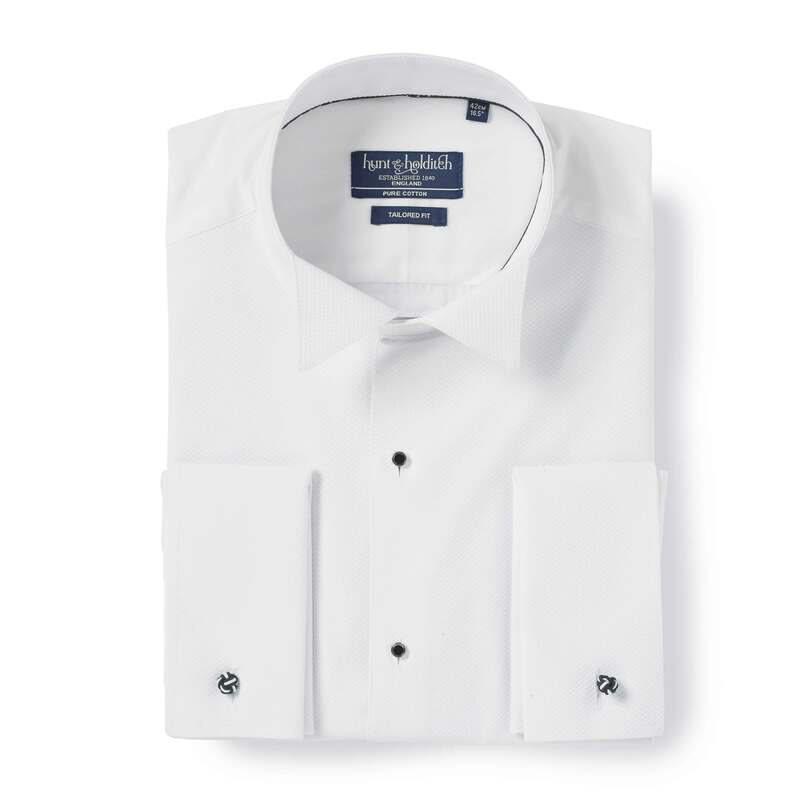 Our Ritz shirt comes with complimentary dress studs. It's available in regular and tailored fits and in sizes 14" to 20". 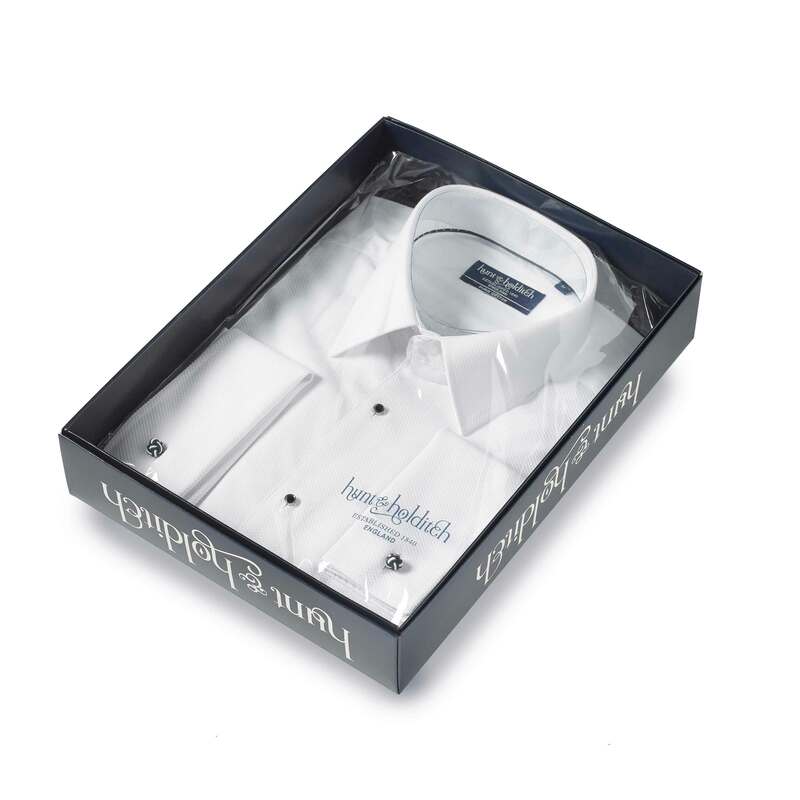 With a Marcella cotton front, cuffs and collar it's a special shirt to wear. Part of the package on our Select and White Tie suits you can add it to other tuxedos for just €10 including cufflinks.